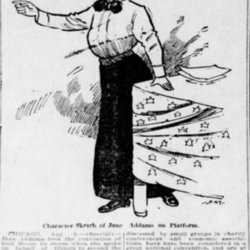 Newspaper report and cartoon of Addams seconding the nomination of Theodore Roosevelt at the Progressive Party Convention. 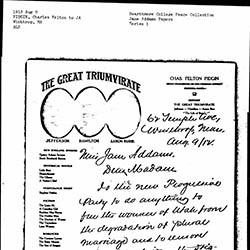 Pidgin asks Addams if the new Progressive Party has a stance on Mormon polygamy. 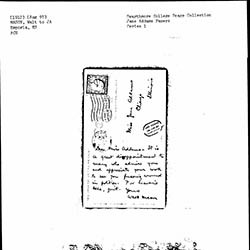 Mason asks Addams to stay out of politics. 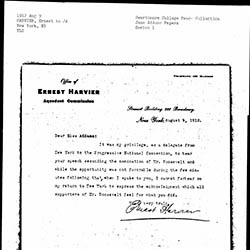 Harvier congratulates Addams on her speech at the Progressive Party Convention. 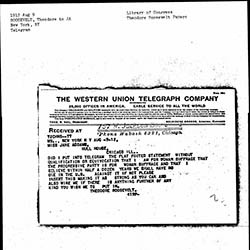 Garland congratulates Addams for her speech at the Progressive Party Convention nominating Theodore Roosevelt. 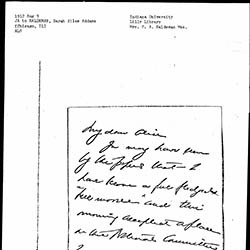 The anonymous African-American correspondent chastises Addams for sacrificing African American rights for woman suffrage. 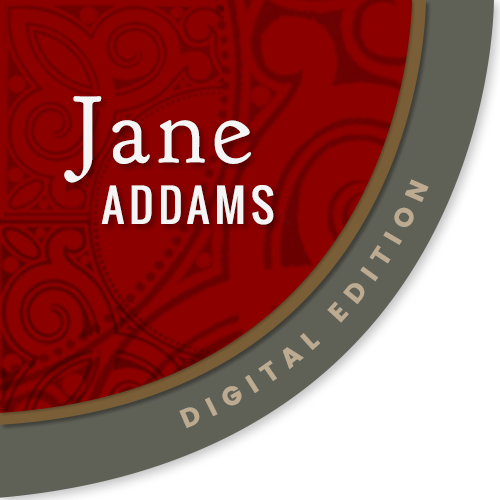 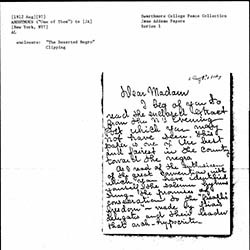 Theophile T. Allain to Jane Addams, August 9, 1912. 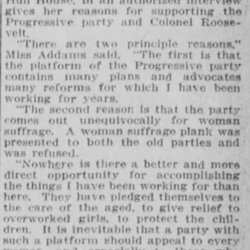 Allain asks Addams why the Progressive Party Platform abandoned African Americans. 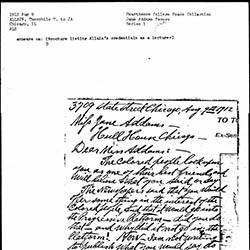 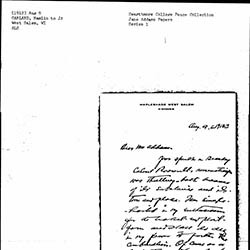 Addams writes Haldeman that she is sending her a copy of her speech at the Progressive Party Convention and sends news about their brother.